Bert Harris, owner of the shuttered Sohberts, approached bartenders Lisa Mongelli and Meredith Wilkinson to partner in the Caviar Docks (144 King, at Second St., www.thecaviardocks.com), which will begin as a private events space and eventually open to the public as a beer and wine bar. The space was long the loading dock for Tsar Nicoulai Caviar, hence the name. I see. Caviar Docks. 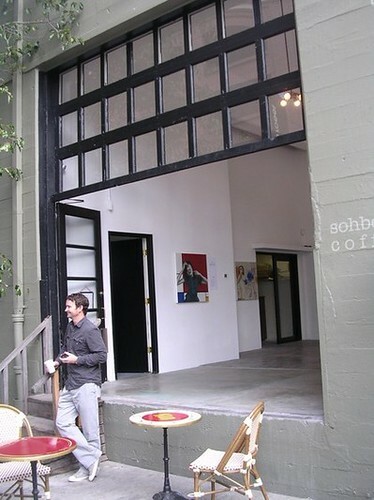 The name, like Sohberts, just rolls off the tongue and conjures images of a welcoming space. Dear businesswomen and men of San Francisco, please take a moment when you're coming up with a name for your enterprise. Run it past your friends. Ask the Twitterverse. Ask random strangers at the mall. "Does this name scream XYZ to you?" or "Would you shop at ABC?" I don't care that someone named Tsar Caviar (and, frankly, I'm a bit suspicious of this history) used this space as a loading dock. In fact, I don't care that it was a loading dock. You want to charge me $10-15 per glass of wine. I shouldn't be thinking of a LOADING DOCK!! And, the previous attempt to name the truly bizarre "cafe or art gallery or cafe or bicycle shop or whatever you were trying to do there" after your children by combining the least melodic parts of their names was misguided. Sohberts wasn't a cute name. It was weird. No one got it. Honestly, I'd rather drink wine or coffee at a place called "Ham" or "Get Out" or "Cirrhosis." So, I wish you luck, but I'll probably drink my wine at District. Cheers.